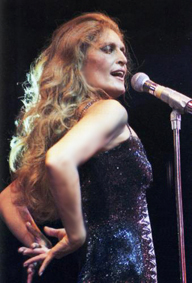 My partner found a Dalida vinyl record in a secong hand shop in Cpae Town yesterday. Well she is first rate and by no means second hand but I was so pleased to hear her once again. I loved her since I first heard her in the late '60s when I was a teenager. She is unique and that beautiful, husky sensuous voice. She is still alive - great artistry never dies.